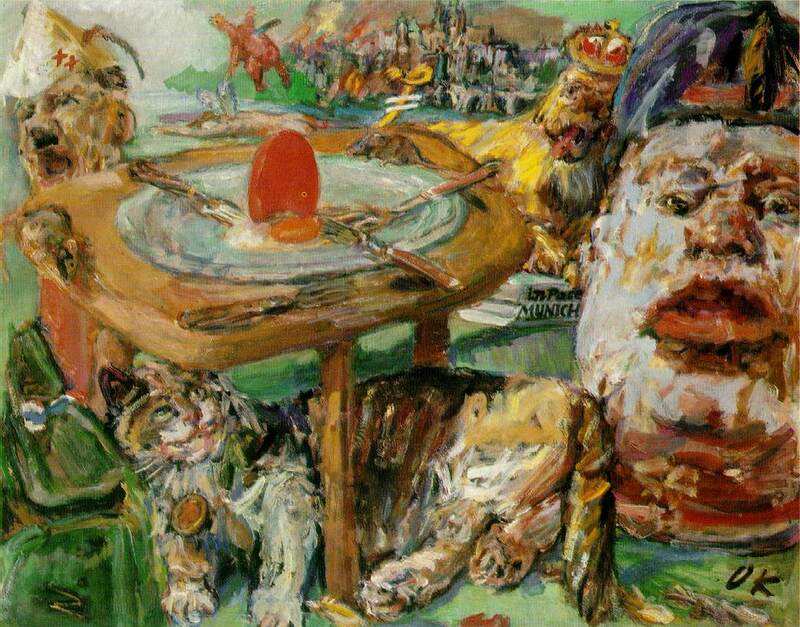 Oskar Kokoschka, b. 1886, d. 1980, was an Austrian painter who was a strange guy and an amazing painter. The growth of his work over his life is guided by his emotional states, right up until his death in 1980. His art career began in 1904 where he was accepted into the School of Arts and Crafts in Vienna. He hadn’t been trained in painting, so his early works are cartoonish and make use of line instead of value or paint treatment to define shapes. His earliest works, or the First Stage, were largely him learning how to become a better artist. He did commissions for celebrities and made post-cards of his art. 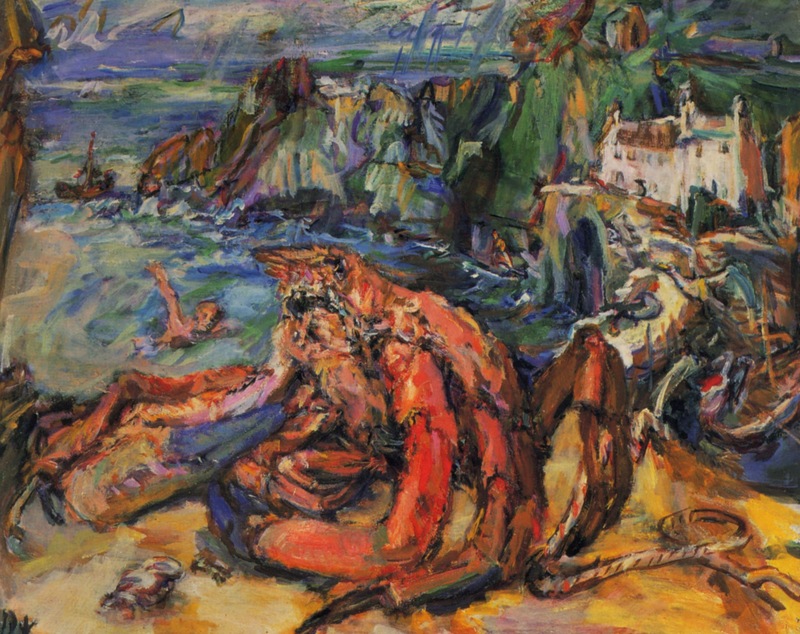 Kokoschka’s next works, from his Second Stage, were largely inspired by his mental and emotional states. He had an affair with Alma Mahler, the widow of the famous composer, Gustav Mahler, and after many years she rejected him. He became obsessed with her, and, as any love-sick soul, painted his magnum-opus, The Tempest. 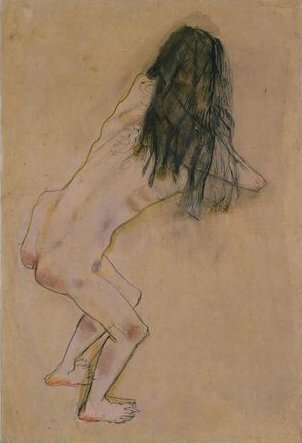 It was a self-portrait expressing his angst and love and etc towards Alma Mahler, who at this point did not return his affections. The Tempest/Bride of the Wind, oil on canvas, 1913. The he ran off to fight in the war. Too bad for him it was World War I. He was injured, got sent home, and then got sent to a sanatorium, because he was “mentally unfit.” That’s 1910s speak for PTSD. In 1918, Kokoschka commissioned a life-size doll to look like Alma Mahler. He was later frustrated at the doll’s inability to uh, perform as well as the real Alma, and decapitated the doll’s head at a party. Then poured a bottle of red wine over it’s head. As you do. Nothing says getting over an ex-lover like a bacchanal. 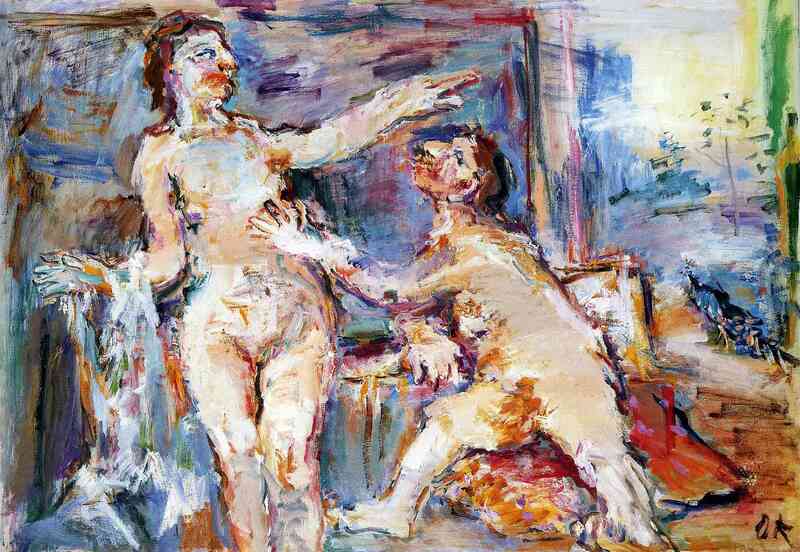 The work Kokoschka made from his messy-not-break-up with Alma and his time during/after the war was very melancholic. The color palette was dominated by blues and greens and carried themes of loss, death, and unavoidably, war. Unfortunately for Oskar Kokoschka, there was going to be another World War, but this time he would not be fighting for his country. He was labelled as a “degenerate” by the Nazi regime and fled to Prague, to try and wait things out. That didn’t work out, because, well, Hitler kept coming Eastwards, so he managed to flee to Great Britian, where he not only remained during World War II, but stayed for the rest of his life. I think his Third Stage as an artist began around this time, as his pieces became less overtly dark and emotional and matured into something more political and nuanced. 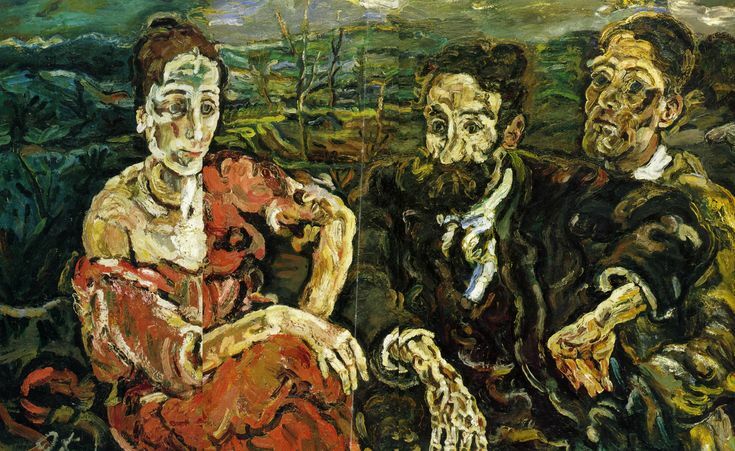 At this point, Kokoschka was also in his mid-late fifties, so he was getting older. The beginning of his third stage dealt with a lot of detail and political themes, whereas the end of his third stage, and his life, his color palette had lightened up, his brush strokes became looser, and from what I can tell, they are not overly-emotional or political. 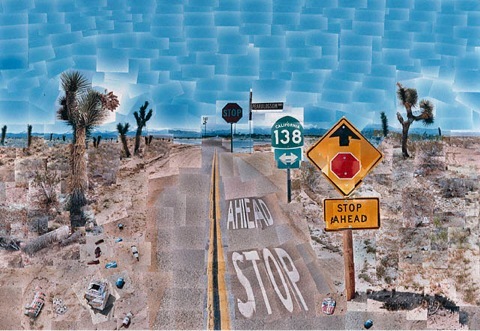 An artist whose work has changed radically over the years is David Hockney. 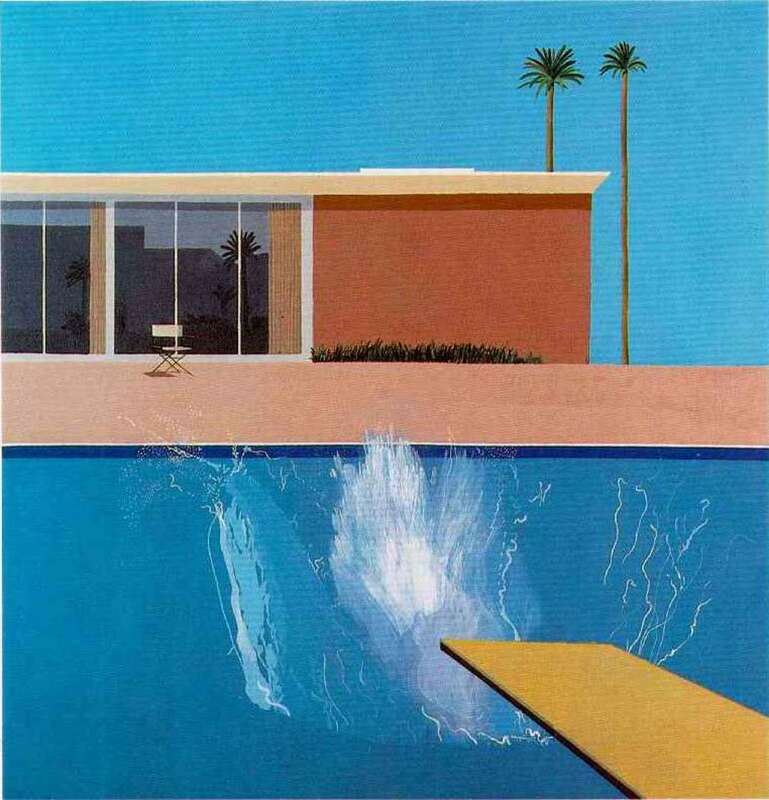 Hockney started off his career as an expressionist painter, though later on he was associated with the Pop Art movement. 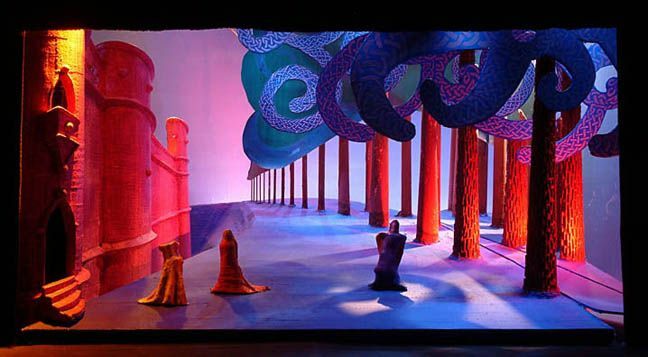 He has worked on paintings, etchings, photography, and set designs for theatrical productions. 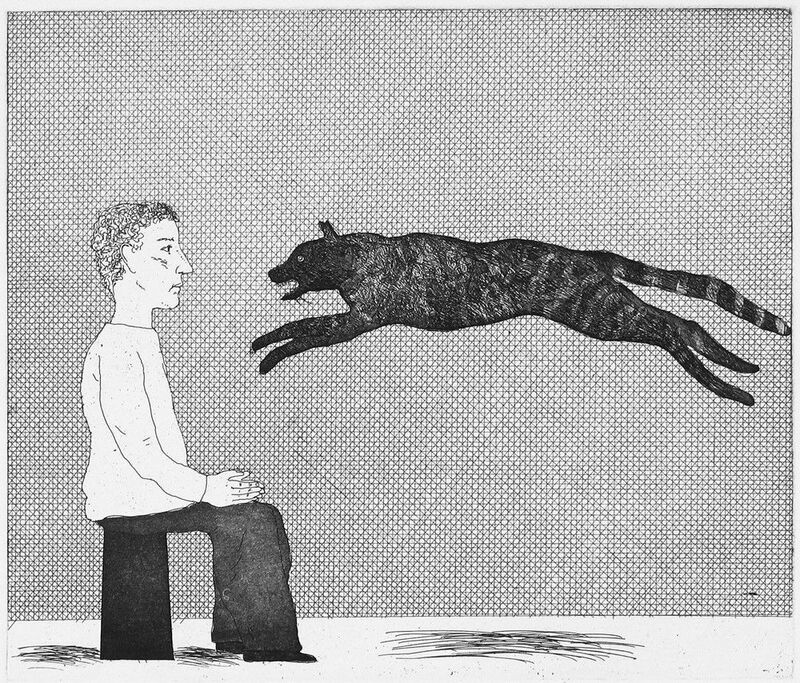 It’s interesting to see the evolution of his work, because there are threads that remain through out all of his different explorations in medium. 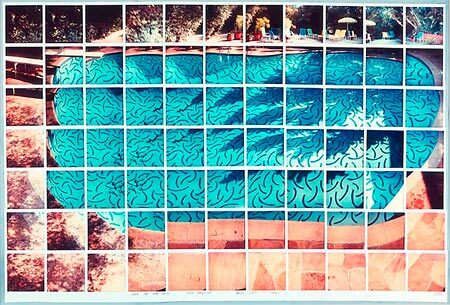 One major thread that cannot go ignored is Hockney’s using many frames to create one image. He uses multiple canvases in his painting, and later in his photographic collages. He doesn’t simply use a grid though. Sometimes the collage is a mess of different directions and perspectives, creating a new world. The biggest surprise for me was Hockney’s set designs. The color palette wasn’t too far from left-field, as his paintings from the 80s had a lot of hot, bright colors, and his earlier paintings had an expressionist feel, much like these sets. It was really interesting, seeing him move from 2D mediums like painting and photography into something that not only have dimensions, but is also treated as an installation, as actors must move through the space to perform. Most recently, Hockney has been making pieces off of an iPhone. They still have the same aesthetic quality as his other works, but it is interesting how he kinda-sorta-maybe took a step into new genres with this work. In 2011, Hockey was declared the “Greatest British Artist of All Time,” based on a poll taken by British painters and sculptors. So, I’d say the reaction to his work has been pretty damn good. I read the first section of Robert Irwin’s Being and Circumstance: Notes Toward a Conditional Art, and my brain is mush and I wrote “what” in the margin half a dozen times but here we go anyway because this is graduate school and I have to be analytical. So, if you’re just one of my casual readers who is here for the art, sorry, this is a school thing, but you are more than welcome to read! If you’re Professor Jay Wolke, good morning, sorry about this train wreck you’re about to read. Definition of Action: the fact or process of doing something, typically to achieve an aim. Definition of Perception: the ability to see, hear, or become aware of something through the senses. Irwin discusses change, subsidiary awareness, and focal awareness, which can be translated into easier vocab: Action, Perception, and Meaning. I started this blog post off with the definitions of those words, to try and start somewhere, because man this reading is dense. But, onto the good stuff– the art! 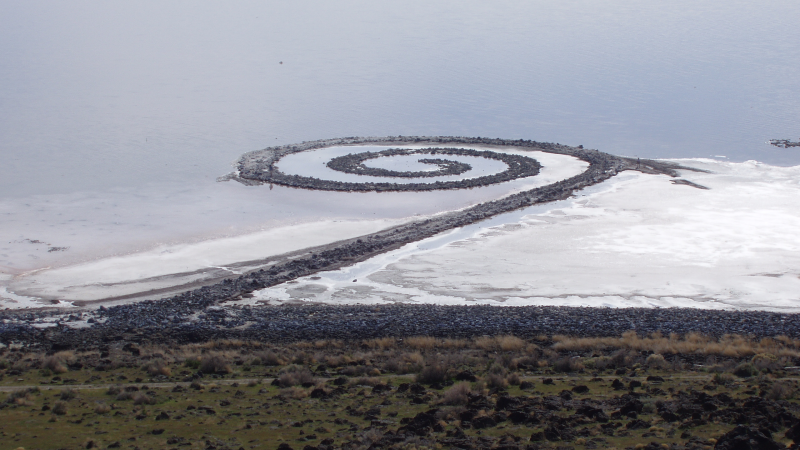 An artist whose work I think may fit into Irwin’s ideas of change, subsidiary awareness, and focal awareness is Robert Smithson, specifically his piece, Spiral Jetty. I’m going to break it down with the three magic words. Change/Action: Smithson changed the landscape of the northeastern shore of the Great Salt Lake in Utah to create the piece, Spiral Jetty. However, Irwin makes it clear in his writing that the end result isn’t necessarily the “change” or the “action.” I think, in the case of Spiral Jetty, that the action is either the building of the Jetty (when it was being made,) and also the experience of a viewer visiting the site and walking along it. In the case of building the Jetty, the aim was to create a land art piece. This is still an action. In the case of a viewer, the action would be wanting to walk out to the center of the spiral– which is an action. And, as the start of this blog states, and action is something that typically achieves an aim. Subsidiary Awareness/Perception: Through change, there is subsidiary awareness, or in easier terms, perception. An action takes place and it is perceived. Perception is a result, a side-effect, of a change. Perception is awareness caused through the senses (thanks, dictionary,) and Spiral Jetty is a piece that uses more than just the sense of sight in its experience. Spiral Jetty is a piece that exists temporally, and because it is land art and not a painting or a print in a museum, it is experienced differently. The Jetty changes over time, you can walk out on it at low tide, can barely see its shape at high tide. You can bend down and touch the stones, smell the salt, feel the wind on your face and hear the lapping of waves. The senses are engaged, and it is through these senses the experience happens. Focal Awareness/Meaning: So, we had our action which resulted in perception which results in meaning. “Subsidiaries exist, as such, by bearing on the focus to which we are attending from them, and are integrated one to the other by the act of a person…” So meaning is the result of perceiving. And, in the definition of meaning, is the word action. Meaning is what is meant by an action. In the case of the Spiral Jetty, as an earthwork, it is supposed to challenge the ordinary notions of modern art. It takes art out of the museum and into “nature,” and uses the landscape in its creation. Land art is almost always massive in scale and must be experienced in person to fully appreciate it– perception! So, yeah. Not sure I did this right but. Y’know. Trying isn’t so bad.